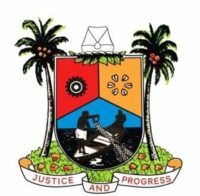 Lagos State Governor, Mr. Akinwunmi Ambode and the Vice Chancellor of the University of Lagos, Professor Oluwatoyin Ogundipe have opined that one of the critical ways which government workers can help reduce the cost of governance and deliver the dividends of democracy to Lagosians is through teamwork, saying that it guarantees more effective and efficient results. 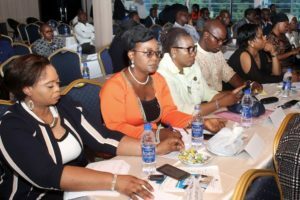 The duo expressed their views on Tuesday during a training workshop organised by the Ministry for Establishment, Training and Pensions, in conjunction with Messrs Human Capital Management and Solutions Limited at Golfview Hotel and Suites, Ikeja, GRA, Lagos. 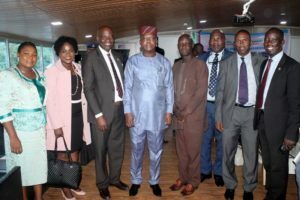 According to Governor Ambode, represented at the opening session of the training by the Commissioner for the Ministry, Dr. Akintola Benson-Oke, teamwork and synergy are necessary among civil servants for the purpose of exchanging best practices that would make the vision of the State government realisable. He underscored the need for the various Ministries, Departments and Agencies of the State Government to identify areas of common interest with a view to maximising their performances for the benefit of residents of the State. 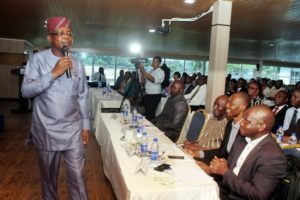 “The purpose of the training is to allow Lagos Public Servants to cope effectively with their counterparts all over the world and be able to use the knowledge acquired to increase their productivity. The productivity will come in the form of democratic dividends to the populace”, he stated. While assuring participants at the training that the Ministry of Establishments, Training and Pensions will continue to devote time and resources to the acquisition of all relevant skills to enhance the performance of civil servants, the Governor also implored the beneficiaries of training to make positive impacts in service delivery. 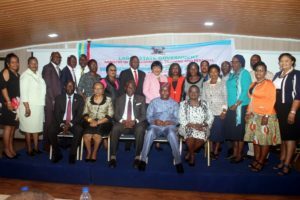 The Vice-Chancellor of University of Lagos, Unilag, Prof. Oluwatoyin Ogundipe, who was also one of the training facilitators said that at the end of the training, the participants, who are senior officials of the State government, would be more efficient at their work schedules and more result-oriented in pursuing the business of governance.